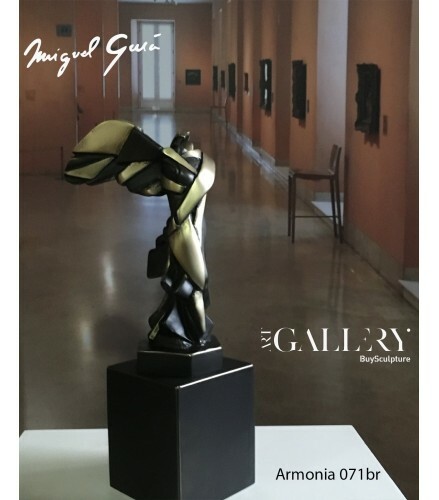 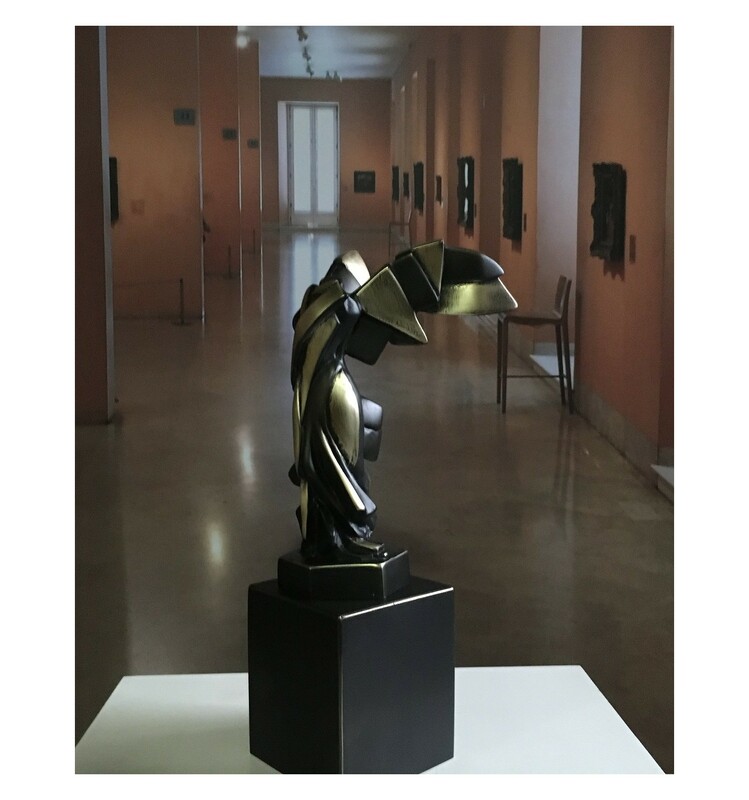 This time Miguel Guía shows his admiration towards Boccioni and his way of approaching movement in CUBISM. 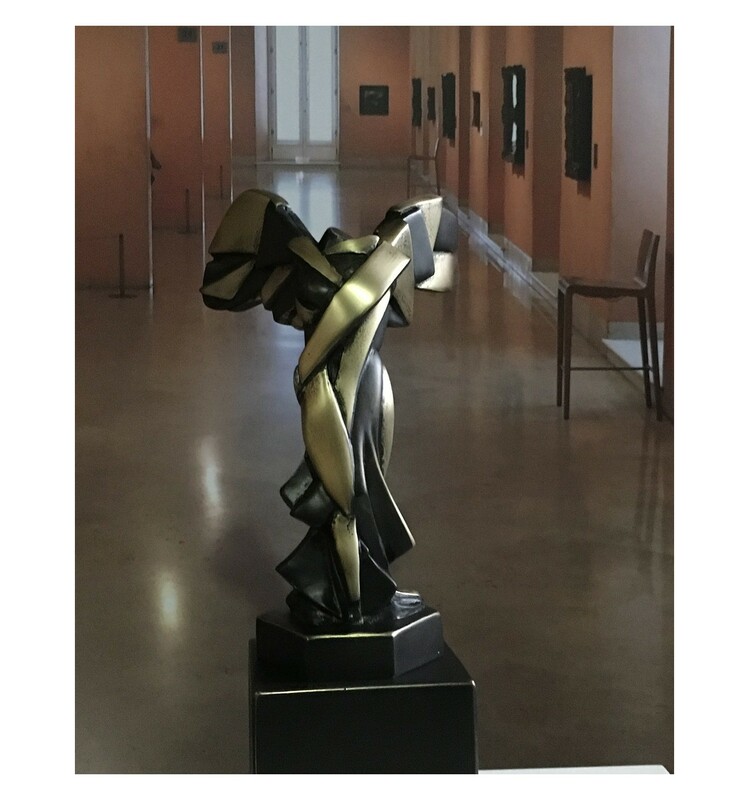 Guía is choosing a symbolic sculpture of harmony of forms from the Greek sculpture of the Goddess of Nike (Victory of Samothrace) which we can admire in the Museum of Louvre in Paris. 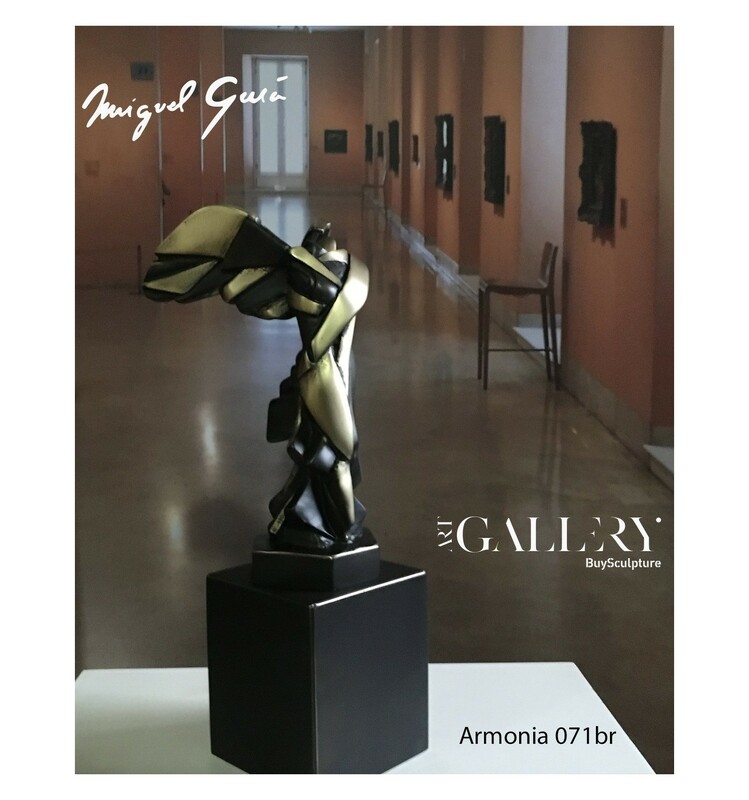 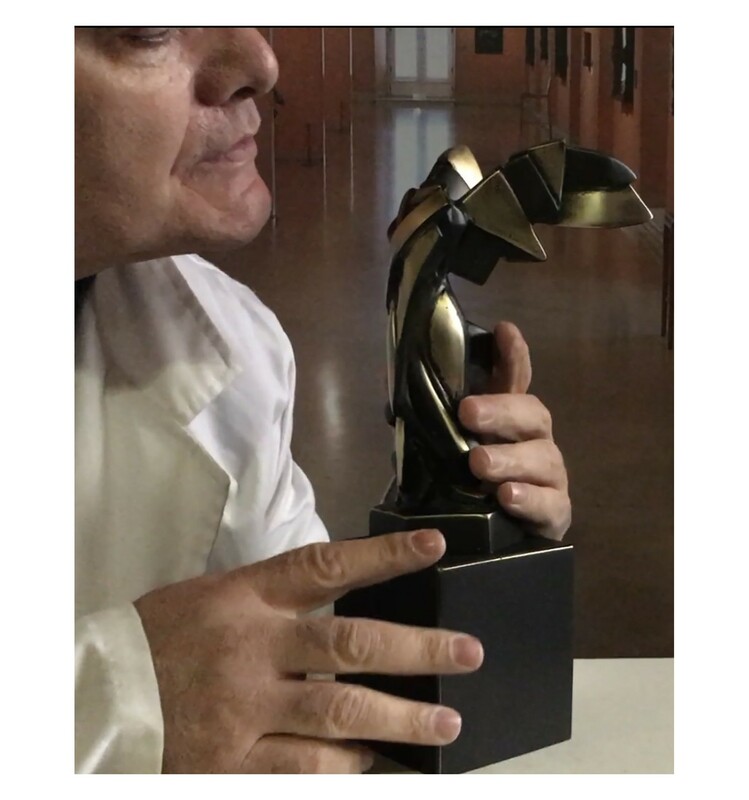 Miguel Guía is molding this harmony of the Goddess with cubistic volumes and is not leaving out the static movement of the piece, in virtue of this quality Miguel Guía could not resist to baptize this sculpture as "Harmony"